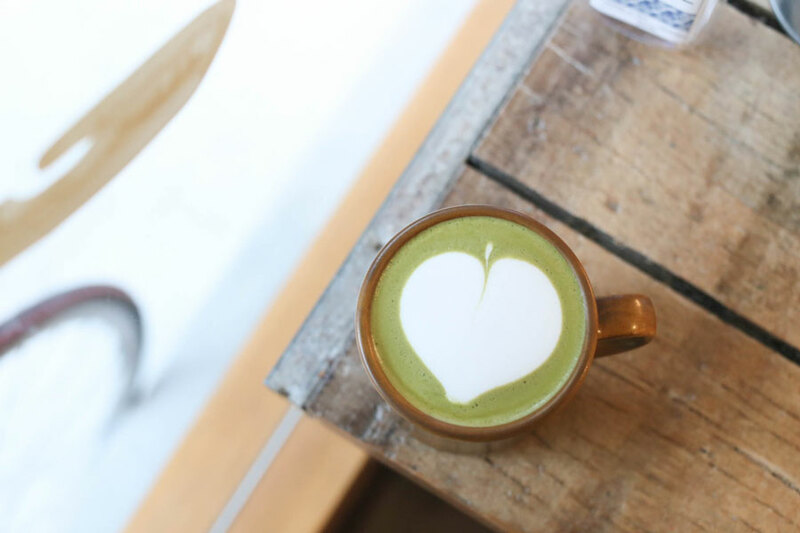 [Taipei] There have been many themed cafes opening up all over Taipei, and Swell Co. Coffee is one which attracts many to take photos with its feature wall. More on that later. 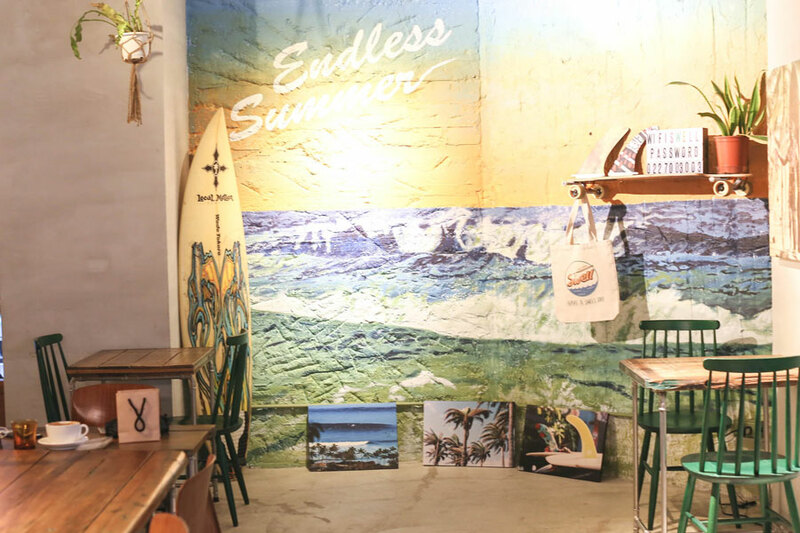 Established in 2017, this surfing-themed joint is decorated with cactuses and surfboards, complete with that cool California beach vibe. It is located in Da’an District, a quiet residential area. 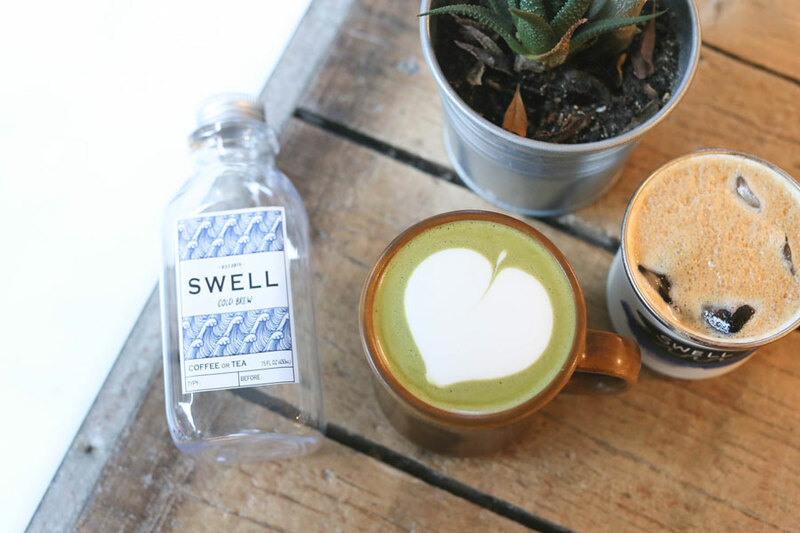 Entering into Swell Co. Coffee can be like stepping into a tropical beach cafe. Seems like a perfect spot to catch up with a friend or to have a cup of coffee and read a book. 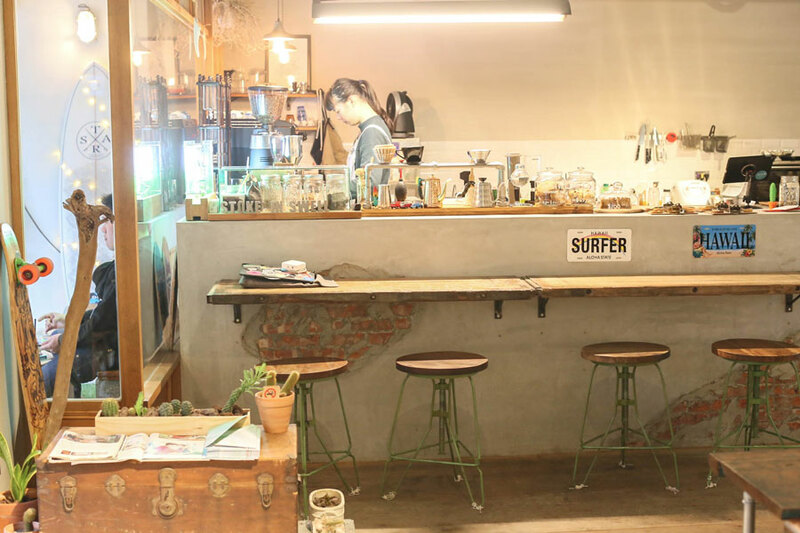 The owner is a surf and sports enthusiast so it is no wonder that Swell Co. Coffee offers sport’s broadcasts and host a number of events that attract fans. 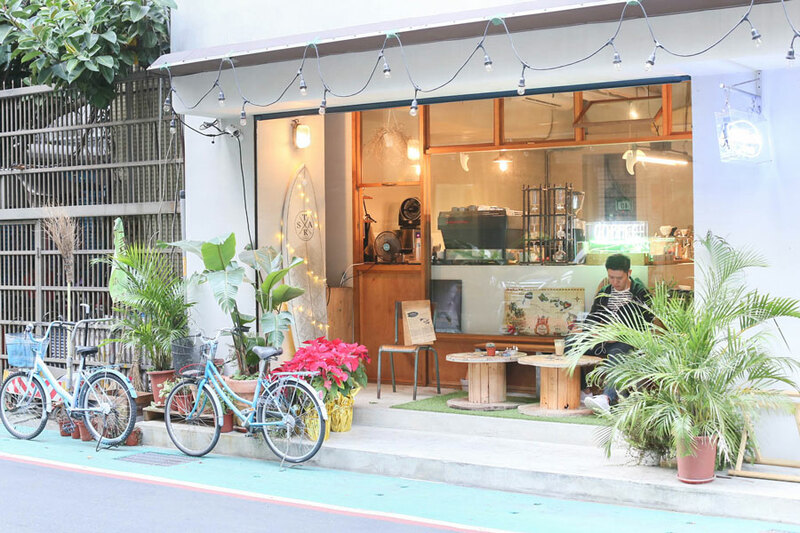 This is a time when this peaceful café turns into a lively sports bar. 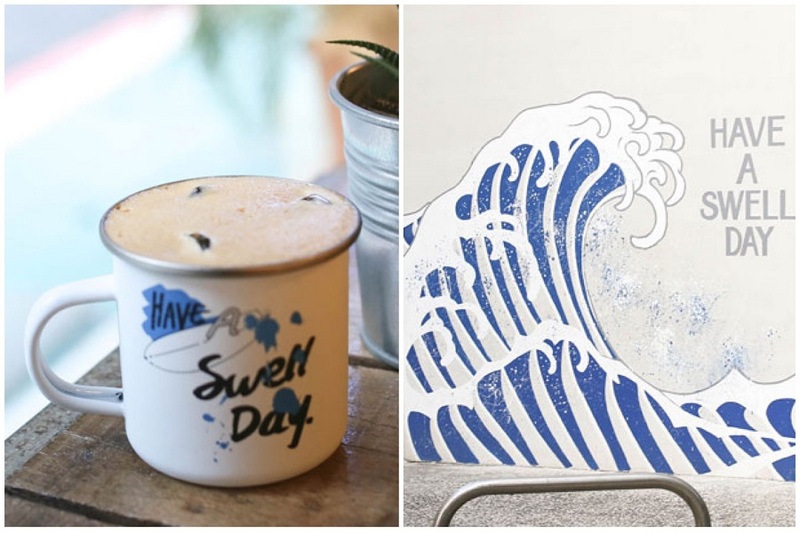 Swell Co. Coffee also features some beach murals on the walls which give this place a cool summery beach vibe. 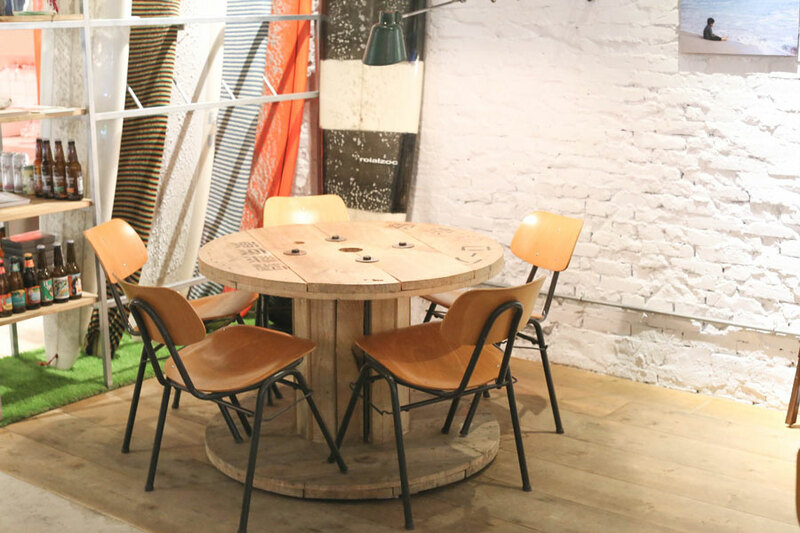 There are a couple of wooden tables, as well as 4 bar stools right in front of the counter. You can also sit outside, as there is a long bench for people watching. 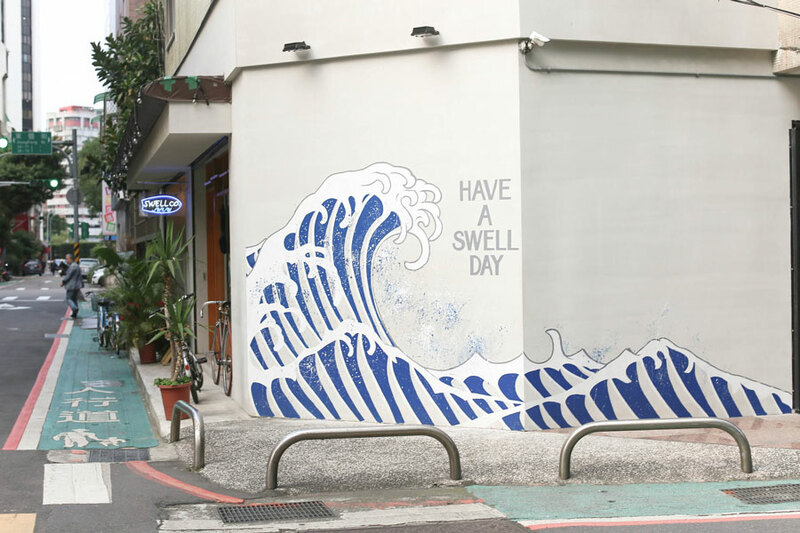 At the corner is a feature wall, looking very similar to the famed “The Great Wave off Kanagawa” by the Japanese ukiyo-e artist Hokusai. While I was in the café for about an hour, I saw no lesson than 8 different individuals and groups doing all sorts of poses, most likely for their Instagram feed. On the menu, you will find a wide range of coffees from Costa Rican to African. 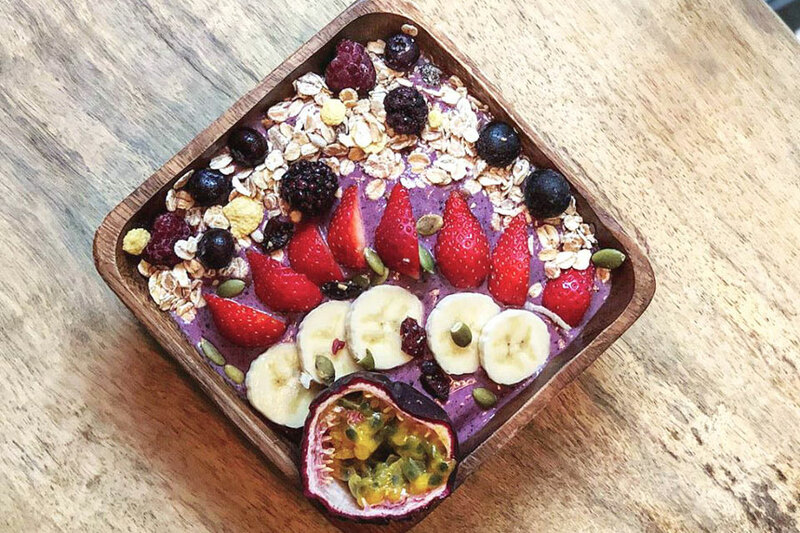 Light meals are available, from Acai Bowl (NT$240), Pesto Smoked Salmon Croissant (NT$200), Avocado Bacon Bagel (NT$200) and Cheese Beef Bagel (NT$200). For something heavier, there are the Swell Style Grilled Chicken Plate (NT$300) and Smoked Salmon Plate (NT$320). 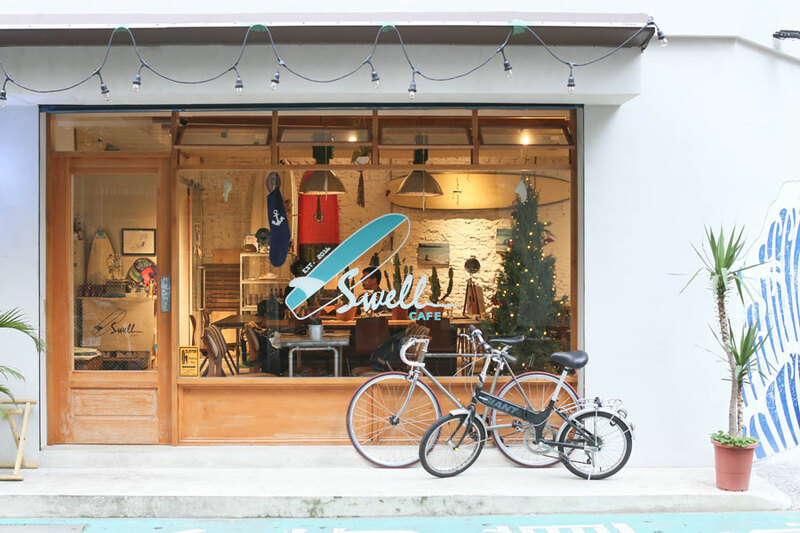 If you are into the craft beer scene, you will be happy to hear that Swell Co. Coffee serves a variety of IPA’s and APA’s including Big Wave Ale, Fire Rock Pale Ale, Calico Amber Ale, and Red Velvet Nitro. 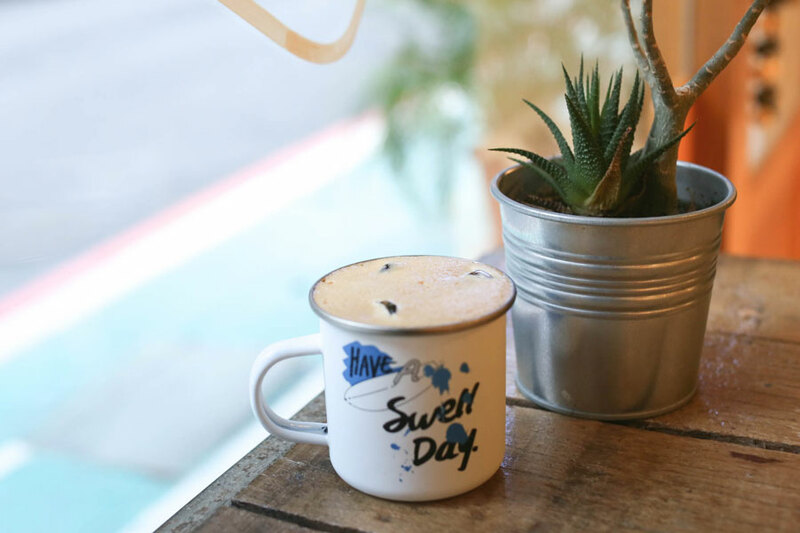 In case you are after a laid-back café and wish to get away from the hustle and bustle of urban life, Swell Co. Coffee may just do it for you.